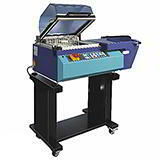 Low cost shrink wrap film, equipment and kits. 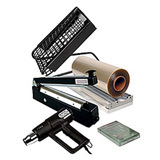 Choose from economical pvc shrink film and crystal clear polyolefin film, plus all the shrink wrapping equipment you could need for simple and straightforward application. You’ll find our prices on this high quality selection of shrink wrap film & equipment hard to match elsewhere, but you can save even more by taking advantage of discounts of up to 20% off the basic price for bigger orders. 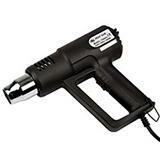 Davpack offers a comprehensive range of shrink wrap film packaging and supplies including: pvc, polyolefin centerfold and single wound shrink wrap, and also a complete shrink film wrapping system, as well as a professional shrink wrapping machine. Standard shrink wrap film comprises two basic categories: polyvinyl chlorides (PVC) and polyolefin. PVC film is very economical and machine tolerant, but lacks the clarity and gloss that polyolefin shrink film provides and which is critical for retail appeal. 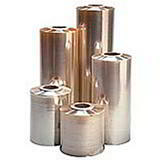 All featured shrink film is suitable for direct food use.